Sportfitz, a Waterloo startup, showed off a device that can detect brain injuries at the 2019 Consumer Electronics Show in Las Vegas this week. 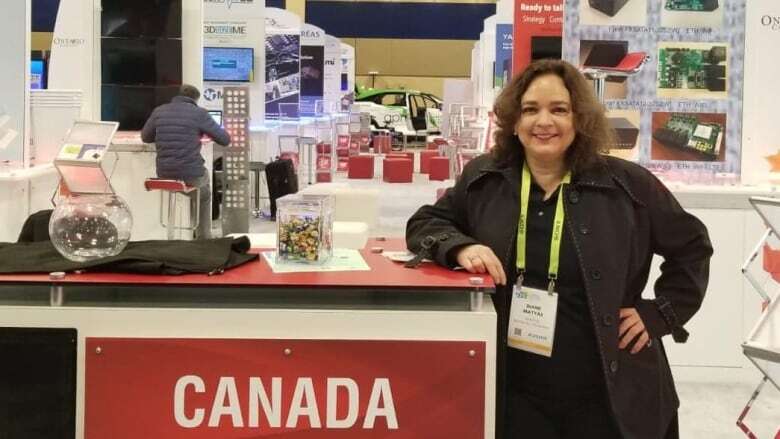 The company was selected, along with 19 others, by the federal trade commission to represent Canada at the Consumer Electronic Show in Las Vegas this week. The show is an international gathering of more than 4,000 companies and businesses who work in consumer technologies. It's also where the latest gadgets and technology are showcased to the world. In total, 127 Canadian businesses are represented at the show, but not all were hand-picked by the federal trade commission. This year, Sportfitz is invited to be an exhibitor at the Canadian Pavilion — a first for the company. Sportzfitz has created a device that is designed to detect concussions and prevent brain injury. 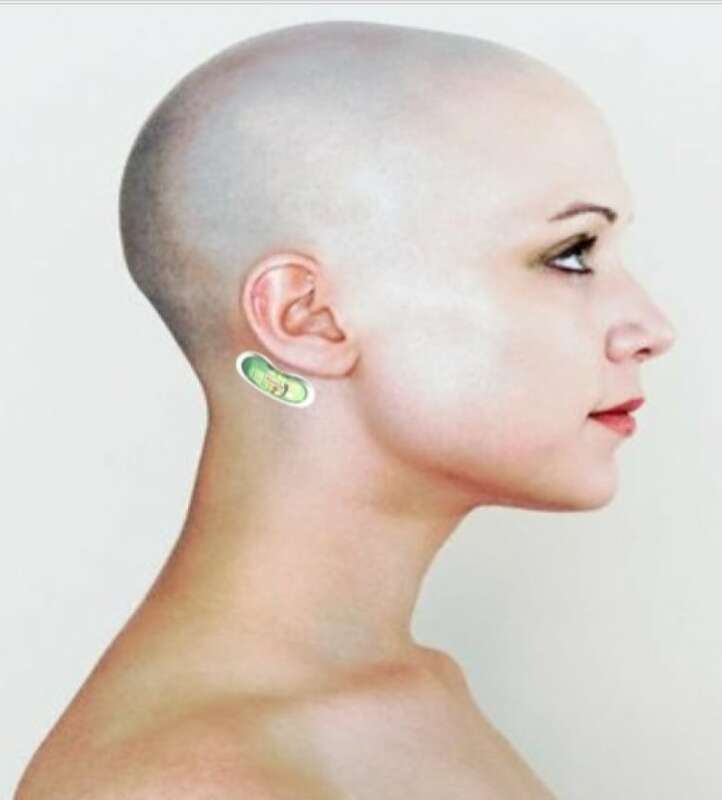 Users can stick the one-inch device to the back or side of their head to measure brain impact and other information including time, date, location, direction, force and oxygen level. "More then 90 per cent of people who suffer from concussions do not know they have one. Concussions are difficult to diagnose since the symptoms are general and signs do not typically show up on MRIS or CT scans," said Diane Matyas, the founder and CEO of Sportfitz, in a press release. Matyas said she had three goals in mind going into the trade show: sales, funding and partnerships. "What we're doing is asking the different companies from different countries if they'd like to buy the products, and our first market is sport," she said. Matyas said so far, her biggest clients are sports organizations who compete at the international level, but she has also received some interest from military, mining and transportation groups. Sportfitz will also collect data from consumers (with their permission) to compare demographics, she said. "We might work with manufacturers with say, sporting goods," she said. "There are so many opportunities to improve performance and safety." Danby Appliances from Guelph, Ont. is also at the trade show. The company's CEO, Jim Estill, was there to unveil their new smart mailbox, Parcel Guard. The mailbox allows deliverers to use an anti-theft drop slot and scan packages to open its door. Once a package is delivered, it locks automatically and notifies the homeowner through an app. 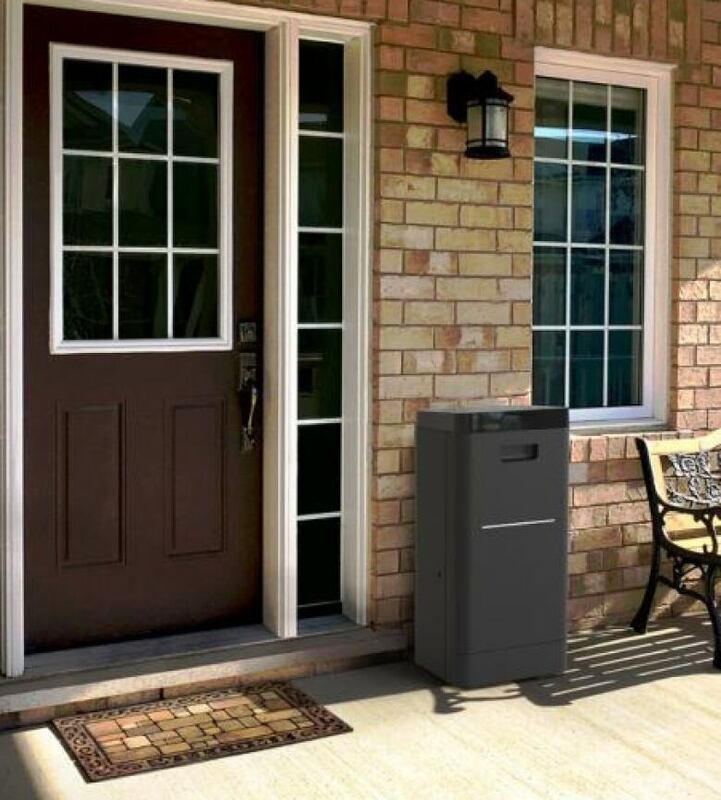 The smart mailbox is also equipped with a motion-activated camera, tamper alarm and weight monitor. It's the company's first venture into smart-home technology, and the device aims to curb stolen packages. The CES wraps up Friday.